These Terms and Conditions apply to websites owned and operated by electricienmontreal.net. By using a website owned and operated by electricienmontreal.net, you are agreeing to our Terms and Conditions which may change from time to time, so please be sure to visit often to see if anything has changed. If we post changes and you continue to use our website(s), you will be deemed to have agreed to the changes. electricienmontreal.net is an online marketing company that works with many different clients, including home service providers. People or business who use electricienmontreal.net's advertising services and/or websites shall be referred to as a Third Party. Certain information is reprinted and posted on this website with permission or upon instruction from others. Any copying, dissemination or reuse of any of the material on, or contents of this website is strictly forbidden without the prior written release or permission of electricienmontreal.net. 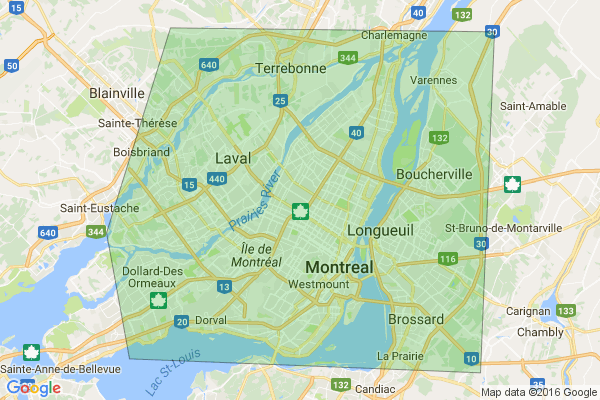 By using this website, you acknowledge that electricienmontreal.net is not acting as your general contractor, agent, or advisor. Therefore, it is your sole responsibility to select a contractor or service provider and to negotiate the terms for any work performed. You may want to consult with appropriate expert advisors to assist in your home improvements, including a lawyer regarding contracts, permits, and other necessary job documentation and an insurance professional regarding the contractor's and your own insurance coverage requirements. electricienmontreal.net does not recommend or endorse any service provider that uses our advertising service and/or any of our website(s), nor do we screen any individual service provider's personal credit or legal standing. We do not guarantee that we will be able to match your service needs with any service professional nor do we guarantee that any service professionals in your area are either capable or willing to complete your service needs. Although we take certain steps to examine the credentials of the service professionals that advertise through us, including the service professionals who advertise throught our websites, we make no guarantees or representations regarding the application or installation skills of such service professional or the quality of the job that he or she may perform for you if you elect to retain their services. It is entirely up to you to enter into a direct contract or otherwise reach agreement with a service professional, and we do not guarantee or warrant their performance on the job or the outcome or quality of the services performed. Your rights under contracts you make with service professionals typically are governed by your state and local laws. Should you have a dispute with any service professional, you must address such dispute to the service professional directly, and you hereby agree to release electricienmontreal.net (and our employees and agents) and any other person, firm, or entity from any damages or claims (including consequential and incidental damages) of every kind or nature, suspected and unsuspected, known and unknown, and disclosed or undisclosed, arising out of or in any way connected with such disputes and your dealings with service professionals. electricienmontreal.net does not guarantee that any service provider has licensing or insurance coverage at the time you enter into an agreement with the service provider and makes no representation as to the adequacy of any licensing or insurance coverage (including amount, breadth, or type). The existence of an insurance or licensing certificate does not guarantee that the insurance is in effect, as the service provider may cancel the insurance without electricienmontreal.net's knowledge. Unless otherwise specifically stated, electricienmontreal.net does not endorse any product or service described in, offered on, or linked to any and all websites owned or operated by electricienmontreal.net. electricienmontreal.net makes no warranties of any kind, whether expressed or implied, as to the accuracy, reliability, or completeness, of any information or content provided on any of the websites owned by electricienmontreal.net. If you, the website visitor, have any questions regarding content contained on this site, please ask the Third Party adversiser. Under no circumstances will electricienmontreal.net, its affiliates, or their employees or agents be liable for any improper or incorrect use of, reliance upon, or reference to any of the information or content contained on this website, or on any linked Internet address; or for any damages suffered from the direct or indirect use of, reliance upon, or reference to any of the information or content on this website or upon any linked Internet site. Under no circumstances shall electricienmontreal.net be liable under any theory of recovery, at law or at equity, for any types of damages, including, without limitation: direct, indirect, special, incidental, consequential, or punitive damages, or for loss of use, or lost profits, which arise out of or relate in any manner to the use, performance of, reliance upon, or access to any information, services, software, documents, or content originating from or with respect to this website, or any linked Internet address. electricienmontreal.net specifically disclaims any express or implied warranties of merchantability or fitness for a particular use or purpose and any warranty of non-infringement, with respect to the content of, and information on this website. All of the information, documentation, artwork, trademarks, audio, video, and other content of this website is strictly made available on an "as is" basis without warranty of any kind. You understand that electricienmontreal.net has no control over any Third Party services. electricienmontreal.net and its suppliers make no warranty that the Third Party services will meet your requirements or that use of the service or the Third Party services will be uninterrupted, timely, secure, or error-free; nor does electricienmontreal.net make any warranty as to the results that may be obtained from use of the service or the Third Party services, or the accuracy or reliability of any information obtained through the service or the Third Party services, or the accuracy or reliability of any information on this website provided by or approved by the Third Party services or that any defects in the service or the Third Party services will be corrected. electricienmontreal.net and its suppliers disclaim all warranties of any kind, whether express, implied, or statutory, regarding the service or the Third Party services. Any material or data obtained through use of the service or Third Party services must be used at your own discretion and risk. Some states or jurisdictions do not allow the exclusion of certain warranties. Therefore, nothing in this section should be construed as excluding or limiting any warranty beyond what is permissible under applicable law. electricienmontreal.net does not guarantee the quality or fitness of any work performed by any service providers. Because electricienmontreal.net is not and cannot be involved in your dealings with service providers or control whether or not any service providers will complete any work as agreed, in the event that you have a dispute with a service provider you release electricienmontreal.net (and our agents and employees) from any and all claims, demands, and damages (actual and consequential) of every kind and nature, known and unknown, suspected and unsuspected, disclosed and undisclosed, arising out of or in any way connected with such disputes. You agree that, unless otherwise prohibited by law, all disputes, claims, or causes of action, in law or equity, arising from or relating to this Agreement or its enforcement, performance, breach, or interpretation shall be resolved solely and exclusively by confidential final and binding arbitration in Dallas County, Texas. Any such controversy or claim shall be arbitrated on an individual basis and shall not be consolidated in any arbitration with any claim or controversy of any other party. Judgment on the arbitration award may be entered into any court having jurisdiction thereof. You agree that any claim or cause of action arising out of or related electricienmontreal.net or its services or the Terms and Conditions must be filed within one (1) year after such claim or cause of action arose or be forever barred. You agree that electricienmontreal.net, its member contractors, and affiliated partners may use your contact information, including your email address to contact you regarding this project, and to provide you with related content. electricienmontreal.net and the Third Party, and any electricienmontreal.net partners are separate entities and share no agency, partnership, franchise, joint venture, or employment relationship. You agree that this Agreement will be governed by the laws of the state of Texas, in the same manner and to the same extent that such laws apply to agreements between Texas residents performed entirely within Texas. If any provision of this Agreement is invalid or unenforceable under applicable law, such provision will be deemed modified to the extent necessary to render such provision valid and enforceable and the other provisions of this Agreement will remain in full force and effect. These Terms and Conditions represent the entire agreement governing your use of the service and supersede any prior or contemporaneous written or oral statements by electricienmontreal.net or its representatives or any Third Party. I cut the electrical wire to install a dishwasher. The wire is too short now to connect.